Rosegal is having an awesome, super special Halloween deal where everything is super cheap! In fact, most of their items are on sale at the moment to get ready for October 31st, where everything comes out of the dark (literally). Halloween is always a time when everyone struggles to think of costumes and stuff, and I'm also thinking what I should be. A ghost? A spider? A cute cat? 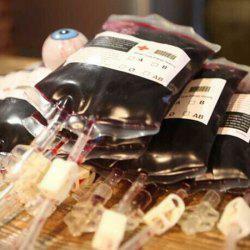 I'm thinking I should buy some fake blood and spray my white shirt with it, but that would be quite garish. 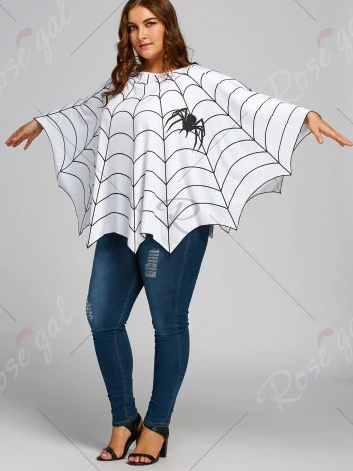 Or I might buy a cute spider hood from them (below) and wear it for fun, would that be cute? 2. The Higher amount of correct answers = Higher value Coupon. When correct answers reached 20/40/60, the coupon will increase to $5 off $49/ $10 off $89 / $15 off $100. 4.This event ends on October 31st. The characters in the picture will be revealed & Coupon will be announced after the event ends.Rosegal is ready for the Halloween. How’bout you? What are you waiting for, enter it now! I have already! amazing post, so interesting dear!